Product prices and availability are accurate as of 2019-04-14 20:56:00 EDT and are subject to change. Any price and availability information displayed on http://www.amazon.com/ at the time of purchase will apply to the purchase of this product. 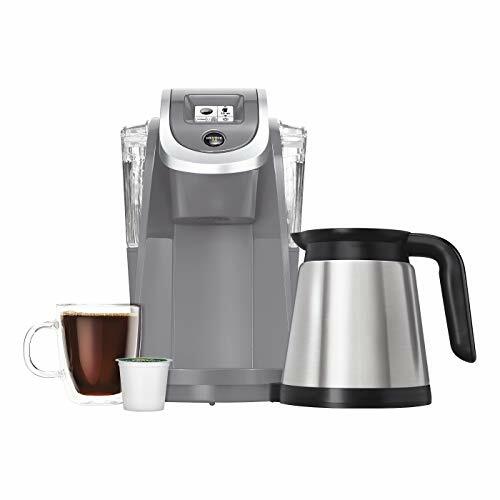 Whether you just need a single cup or a whole carafe, the Keurig K200 Single-Serve K-Cup Pod Coffee Maker has you covered. 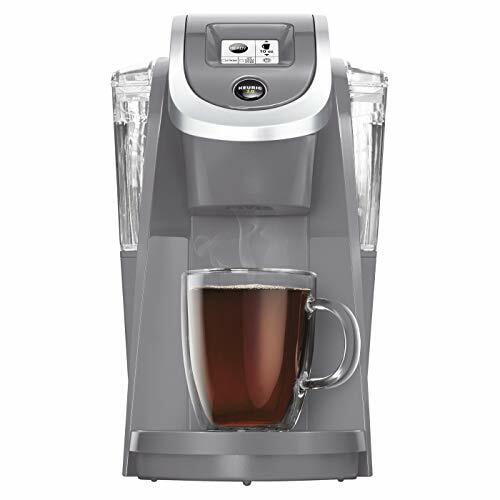 The screen on the front of this K-Cup coffee maker lets you choose the size and strength of your cup. 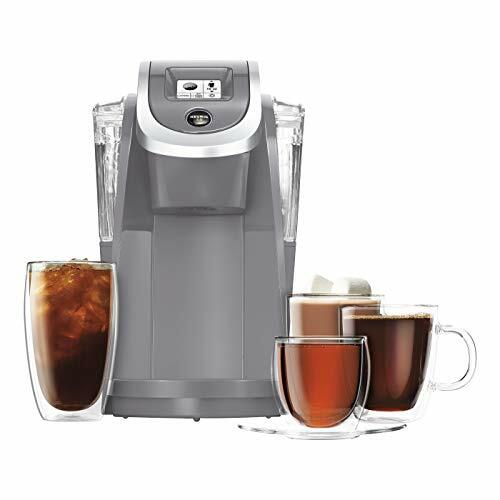 With the K-Carafe Pods, you can brew a 22-30-ounce carafe, sold separately, of your favorite blend to sip on all morning or serve to guests. With a 40-ounce water reservoir, you can drink cup after cup before refilling. Keurig K200 Single Serve K-Cup Pod Coffee Maker - - Cashmere Gray Keurig coffee maker can brew a cup, a travel mug or carafe of coffee Slim design fits easily on your counter Dimensions (Overall): 13.7 inches (H) x 9 inches (W) x 15 inches (D) With a 40-ounce water reservoir, you can drink cup after cup before refilling.